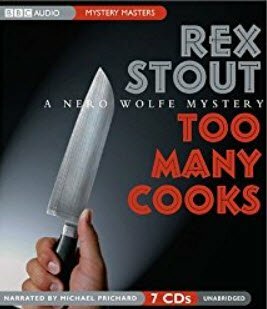 "Wolfe wiggled a finger at me..."
Nero Wolfe, in more ways than one, is one of our biggest detectives. In the literal sense, he weighs "a seventh of a ton," or over 280 pounds. 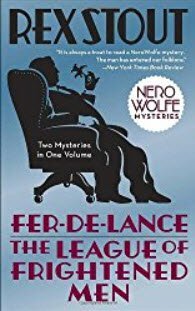 In the metaphysical sense, Nero Wolfe, and his "Watson," employee and legman Archie Goodwin, have been among the very top of their class -- those few fictional detectives who have dominated the field during the "Golden Age" of detective fiction. Really, the books are quite remarkable. 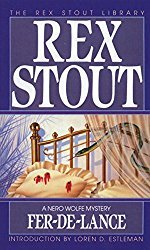 Otto Penzler has said that it is impossible for author Rex Stout to write a grammatically incorrect sentence. Nero Wolfe is not the first armchair detective in fiction. Poe, himself, began the tradition when he had the Chevalier C. Auguste Dupin solve "The Mystery of Marie Roget." Sherlock Holmes's brother Mycroft appeared in two short stories. And Baroness Orczy wrote a series about "The Old Man in the Corner." 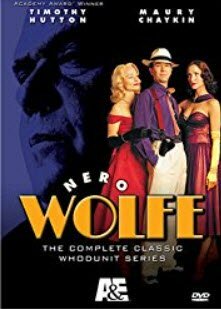 But Nero Wolfe appeared in well over 30 novels and a number short stories and novellas. 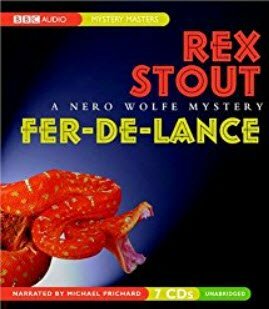 By introducing Archie Goodwin into the stories -- beginning in the first novel Fer-de-Lance -- Rex Stout successfully combined the Armchair Detective with the more recent Hard-Boiled school. It is Archie who narrates the stories but he is a much more fully developed character than most "Watsons." Archie is central to the books. Trained by Wolfe, he does most of the legwork -- investigating and interviewing suspects, and often dragging (or at least coercing) them against their will to the brownstone so Wolfe can interrogate them directly himself. Other members of the household include Fritz Brenner, who prepares and serves meals for Wolfe; and Theodore Horstmann, who helps Wolfe tend the orchids in the plant room (a greenhouse on the roof of the brownstone). Outside the household, but relevant, are Saul Panzer (a private detective Wolfe often hires to help Archie or do other tasks); Fred Durkin is often hired by Wolfe to do surveillance and other mundane assignments; and of course Inspector Cramer. Frequently the books end with the suspects being collected in the brownstone for a final interview by Wolfe -- then the denouement, where Wolfe explains all and identifies the murderer. 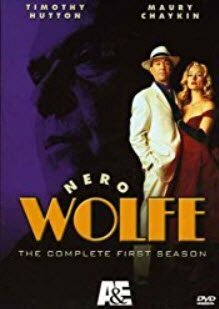 This cliche is an earmark of classic detective technique during the "Golden Age" of detective, crime, and murder myster, and I love it, for here it becomes absolutely clear that Wolfe is in full command of the situation and has solved the puzzle. His masterful disclosure ties up loose ends and is very satisfying to readers like me who enjoy this convention. Rex Stout biographer John McAleer candidly reveals "Some Thoughts on Being a Literary Biographer." John Strother Clayton, Sr. has done some remarkable architectural drawings and floor plans of the Wolfe brownstone. His drawings are available here. (Just scroll to the bottom of Mr. Clayton's page and click on the links to various floors). There was a pilot for a television series in 1979 with Thayer David as Wolfe and Tom Mason as Archie. In 1981 another series appeared on television with William Conrad as Wolfe and Lee Horsley as Archie. Edward Arnold appeared in Meet Nero Wolfe (1936 ). Below are the classic A&E series with Maury Chakin as Nero Wolfe and Timothy Hutton as Archie Goodwin. This series is very faithful to the books and is a class act. 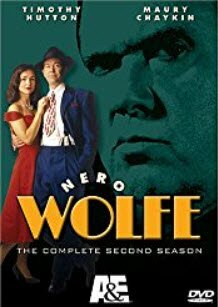 William Conrad stars as Nero Wolfe -- The Complete TV Series In 1981, William Conrad played Nero Wolfe in 14 episodes made for television. 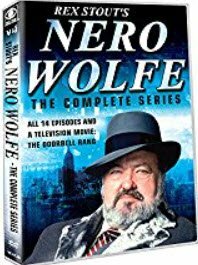 William Conrad starred as Nero Wolfe in 14 episodes on TV (1981). 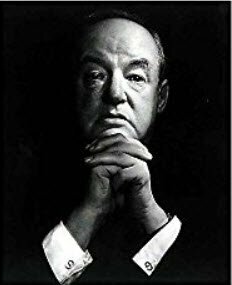 Sidney Greenstreet and others (incuding Francis X. Bushman) portrayed Nero Wolfe on Old-Time Radio dramas.